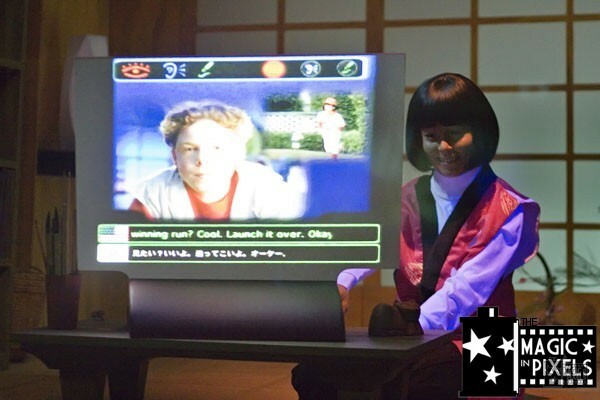 The previous computer scenes (boy in his room, woman in her office, and the NOC) were removed and replaced with one giant scene featuring an international video chat. This is all to the left and whatever old scene was on the right is still covered up. The previous computer scenes were current to the ’84-’94 time period. In this scene we see a video chat on thin monitors – a bit ahead of its time in ’94 when it was installed but is common place today. In 1994 it was still dial up internet and there were no flat screen tvs or monitors. 1994 was when the first internet order was made (either a CD or a Pizza Hut Pizza). The 60’s and the 70’s had video telephones but they weren’t practical for mainstream use due to the cost of the device and data charges. 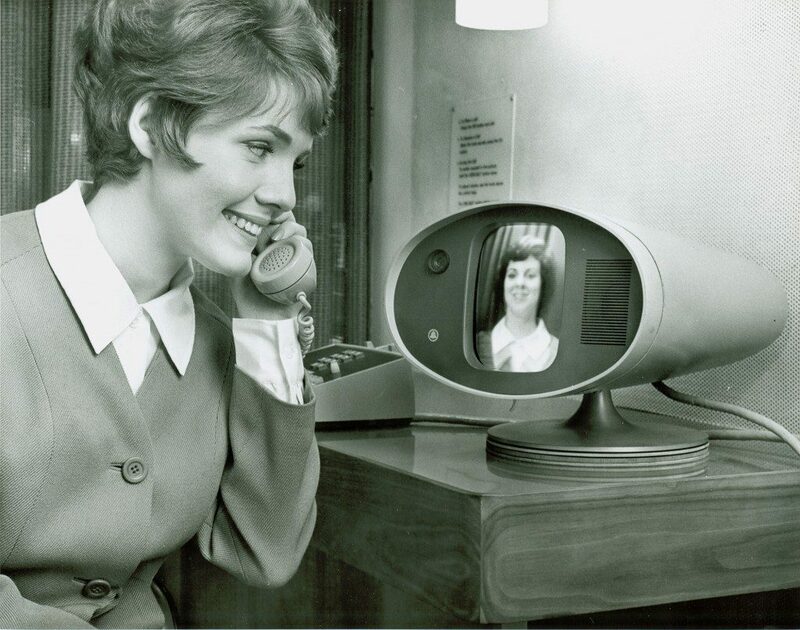 The Bell Picturephone pictured below was debuted at the 1964 Worlds Fair. 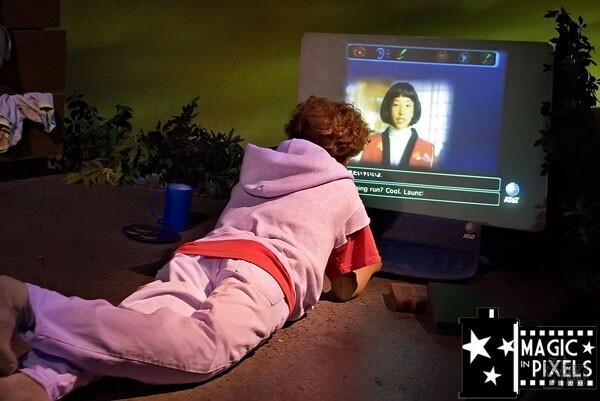 The first reported webcam was from 1991 (only 3 years before the installation of this version of the ride). It was used to view the amount of coffee that remained in a coffee pot. It didn’t actually hit the web till 1993! 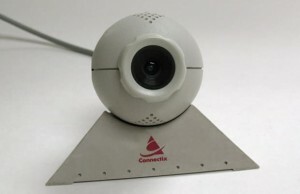 In 1994, a small company called Connectix shipped the QuickCam, now considered the first commercial webcam. Some cellphone models offered video calls in the early 2000s. Online video chat was booming by the mid 2000s, thanks to cheap color cameras, free software, ubiquitous PCs, and widespread broadband. By 2003, all the major instant messaging clients supported video calling (1). Meet Teri-San (no idea) and Kaiko who are having an online video chat complete with real time translation. Just like the previous version of the ride, we come upon a boy in his bedroom, only this dude’s room is wicked messy. 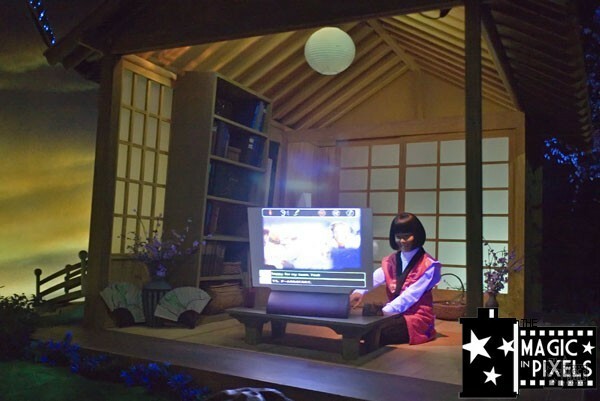 The dude is in the US (per the Typhoon Lagoon Surf Board) and Kaiko is in Japan (per the architecture and Cherry Blossom Tree) and they are able to communicate as if they are in the next room – hence the tiny symbolic ocean between them that starts at the edges of their rooms. The young man is clearly using an AT&T service here. During the launch of this ride version, AT&T also launched a series of ads about the future! 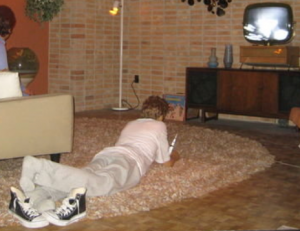 You may recognize this young man from the 60’s when he was lounging watching the Moon Landing on TV. At least we know he ends up in a good place and gets a haircut. We see an arc of twinkling light (almost like Tinkerbell) that travels over the ocean to symbolize the data traveling overseas to connect the young man and Kaiko. They are not only having a conversation, but are also sharing video files and viewing them while they talk. Can you imagine sharing these kinds of file sizes in real time over a 56k modem?! Hilarious. In this close up photo below we can see the file sharing and also the translation. She shares video of her playing baseball and he shares video of him in a martial arts demonstration. There is some speculation as to the origins and eventual placement of the animatronic known as Kaiko. Regardless, her role as Kaiko lives on in our memories. 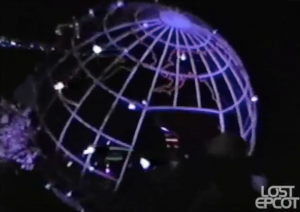 As we leave our international video chat, we pass through a neon globe depicting how small the world will be/is now with our ability to instantly connect. Today we use Skype and FaceTime without a second thought. Video chat has evolved to not only translate spoken languages but also sign language! Doctors are even using video chat for medical diagnoses! High speed internet does seem like it is everywhere, but there are still millions of people in rural America don’t have the Internet connectivity that those in cities take for granted. A reminder that the future hasn’t arrived for everyone in the US let alone the rest of the world. But we do possess the technology to make these connections happen! Today, we possess the ability to connect with one another instantly anywhere on the planet.